Snow Fox Skincare address the needs of those with real skin issues including redness, environmental irritation, oily T zones, dry patches, hyperpigmentation and synthetic chemical allergies. Originally formulated for founder Phoebe Song’s hypersensitive skin and severe inflammatory rosacea, Snow Fox skincare, an organic beauty brand that is 100% natural and plant based, has been perfected for all skin types – sensitive, oily, and dry. To deal with sensitive skin, Snow Fox products are strictly pure – they do not contain any artificial colors, dyes or fragrances, parabens, SLS, phthalates, sulphates, mineral oils, silicones, phenoxyethanol, and petrochemicals. True to the philosophy of the brand, Snow Fox Skin Care is vegan and never tested on animals. For extra hydration and skin brightening, you can add the Japanese Cherry Blossom and White Tea Soothing Masks packs. Great for dry, patchy, and sensitive skin, as well as those struggling with the side effects of over exfoliation. With Snow Fox Skin Care, you have more options for professional grade, organic products that fortify the skin’s natural defenses against a variety of tricky skin issues. Looking for hair styling tools to help give you a new look? 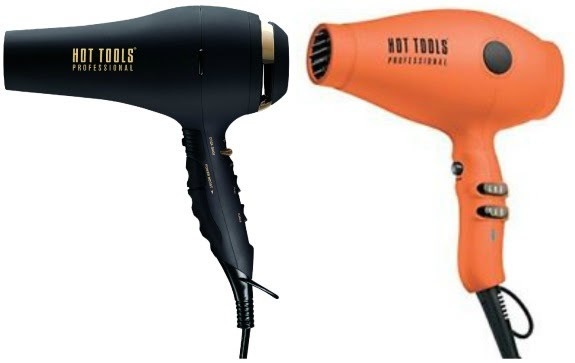 Check out the latest blow dryers and curling irons from Hot Tools. This dryer offers an ION SELECT® dial which adjusts ionic output levels to control volume and increase shine. It is also equipped with a Turbo Power Boost for increased powerful airflow. It includes 8 Heat/Speed options to style all hair types and textures, a Cool Shot for setting the style, a concentrator and diffuser attachment for a variety of styling options. The ergonomic, Soft Touch handle offers a comfortable grip. Unique to Black Gold™ dryers: 9ft. professional cord and a 2 year limited warranty. The modern dryer with a narrow, European nozzle packs an impressive airflow with quiet operation. Its PRO-MOISTURE SYSTEM™ with ION TECHNOLOGY® is supplemented with Tourmaline to deliver a hydrating “spa treatment” for your hair — while fighting frizz and locking in moisture for supremely soft, manageable hair. The contemporary dryer also includes a concentrator with a narrow opening for precise drying. The lightweight dryer is available in classic black or bright neon orange for those who crave a little color in their life. BLACK GOLD SALON CURLING IRONS : Available in 1” ($64.99); 1¼” ($67.99). Pulse Technology maintains precise barrel temperatures for uninterrupted heat, up to 455ºF. Featuring variable heat settings, ideal for all types/textures of hair. The ergonomic, Soft Touch finish provides a comfortable grip. Unique to Black Gold styling irons: 9ft. professional swivel cord and a 2 year limited warranty. 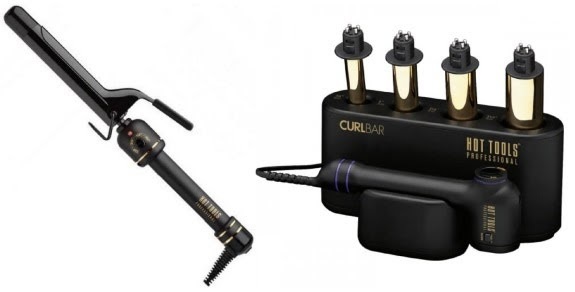 An innovative new curling iron system that combines the unique ergonomic design and all the features of the CurlBar™ curling irons with the versatility of four interchangeable barrels, ¾”, 1”, 1 ¼”, and 1 ½” for unlimited styling options. Additional features are the 9 ft. Professional Tangle-Free Swivel Cord, a heat-resistant glove and silicone mat, barrel and handle stand bases and a 3 year limited warranty.